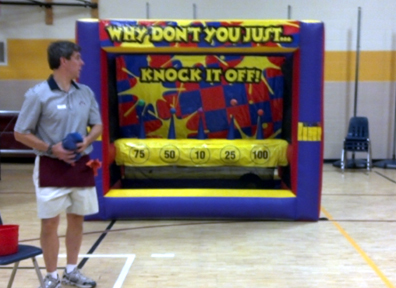 Knock It Off Game - An extremely popular carnival game, the object of the game seems simple enough, knock down some target balls. What makes this game so tricky is that the target balls are spinning and dancing around, as they float in mid-air. The balls actually hover in an upward air stream and move around, making it easier said than done!